Jackson State University submitted its report to the Mississippi Institutions of Higher Learning today to clear 28 findings from the Matthews, Cutrer, and Lindsay (MCL) Independent Accountants’ Report. The report is pending IHL review. The MCL Audit began on October 3, 2016 and was completed by July 31, 2017. However, the university did not receive a report of the findings until January 2018. 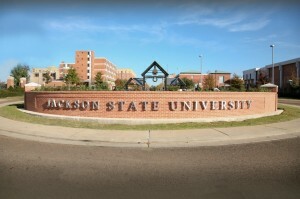 The purpose of the audit was to review the financial condition of JSU. According to the MCL audit report, the firm analyzed the University’s cash position and cash projection through the end of fiscal year 2017. The goal of the analysis was to conserve as much cash as possible to maintain necessary operations and to sustain the University through June 30, 2017. The audit had a focus on the cash flow model including encumbrances, accounts receivable, collections, and payroll. Since July 1, 2017, the University has improved its Days of Cash on Hand from 7 days to 32 days and its Debt Coverage Ratio, among many other fiscal improvements that JSU is making in order to become more financially sound.